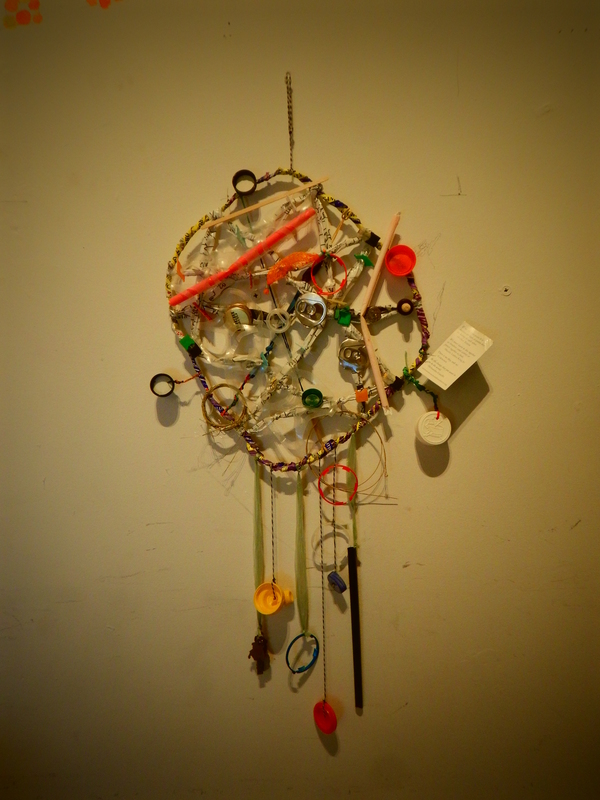 This dream catcher is made from found objects, twisty ties, and plastic bags. The outer circle structure is made from twistie ties, wrapped together, and the inner webbing is made from strips of plastic bags. Everthing caught in the dream catcher was either picked up from the ground, or collected from bread bags, food containers, small plastic bits, byproducts from the kitchen. My dream for this catcher is for humanity to use ecologically beneficial materials in all products so our waste nourishes, rather than contaminates, our environment.